We had another snow today. It was cold and beautiful. 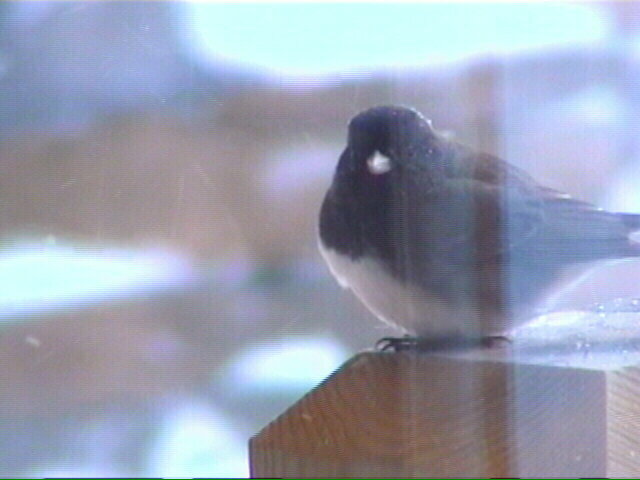 A cold front moved through bringing the Ranch snow and temperatures in the single digits. Early morning fire. This was taken at 2:30 am. I was putting another log on the fire before I went to bed. 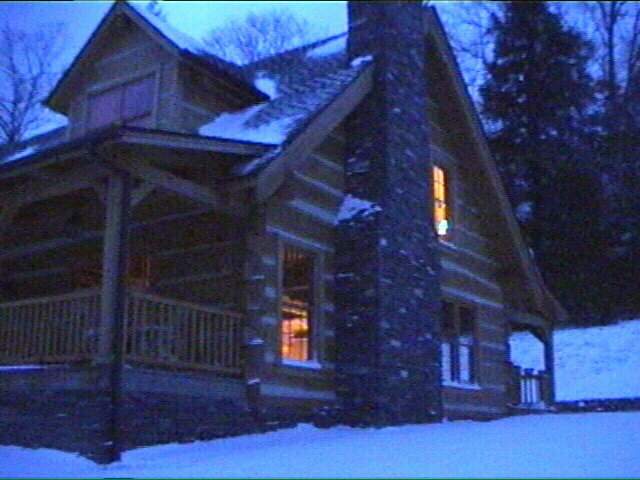 The scene inside and outside was so beautiful I ran up and got my camera and started filming everything. As usual the video camera didn't capture the magic. Even though it was overcast outside, the brightest full moon of the year lit up the sky and all the snow outside. The snow was bright enough for me to see everything and walk around in the house without lights on. 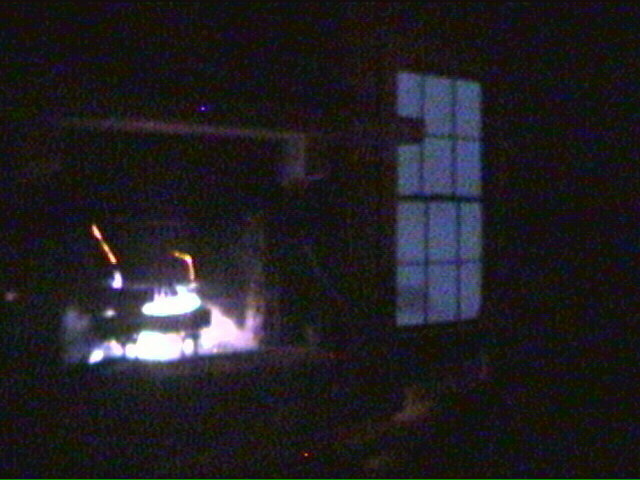 This image is of the fire and the window outside. As you can see the fire is burning a bluish color. I'm burning oak, which burns slow and hot with blue flame. 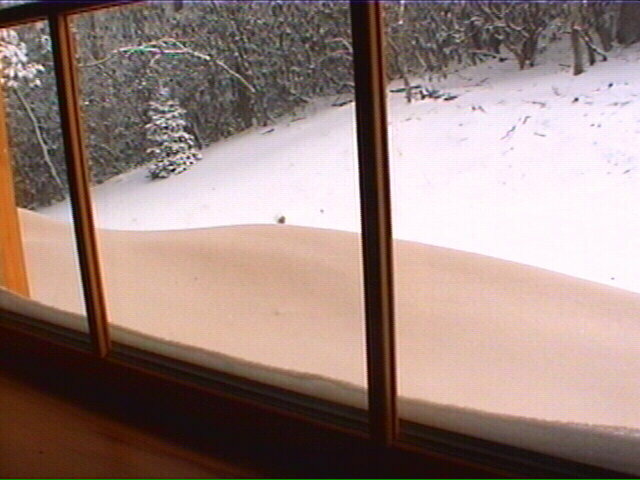 When I woke up the next morning, the snow had drifted up in all my windows. 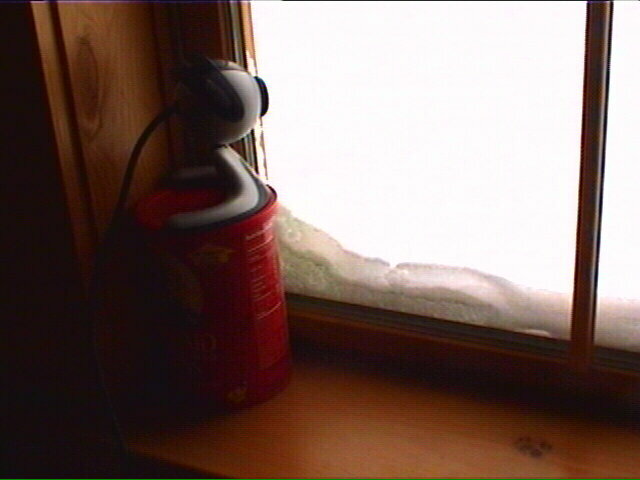 For those of you that checked in on the RanchCam this morning all you could see was the snow against the window! I had to perform an emergency RanchCam adjustment. I put the RanchCam on a can of raisins I had sitting on my desk. Problem solved. ... looking at the drift in the other direction. 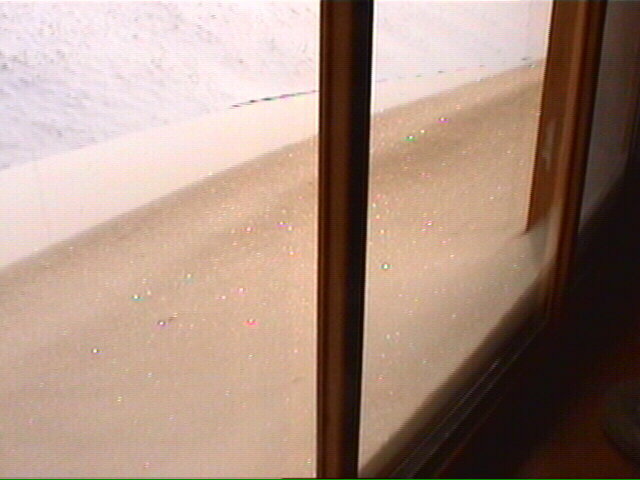 It had piled up snow to cover the bottom of the window. 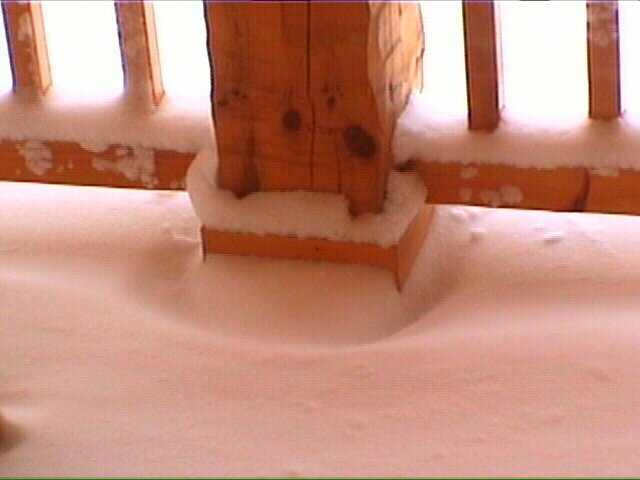 Here you can see how the wind has not only blown the snow in on my front porch, but carved little drifts and shapes around everything. This is a front porch column. Timber and Sugar stayed in today. Its not that I worried about the cold (6 degrees), but with the snow drifting so much they get covered up with snow and then get wet when they come inside and it melts. 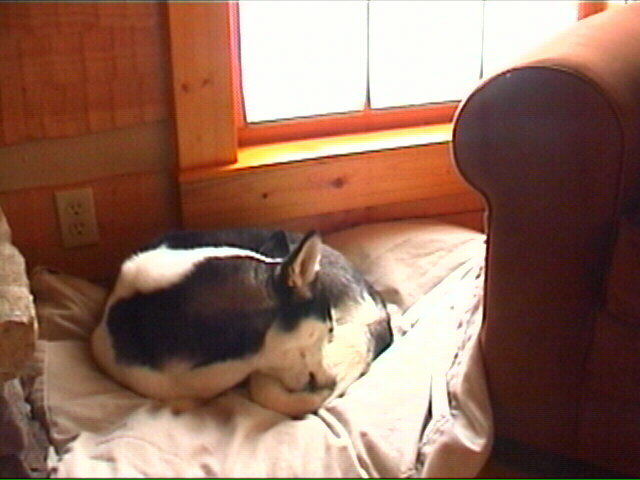 Here Sugar is curled up in her bed cleaning herself. 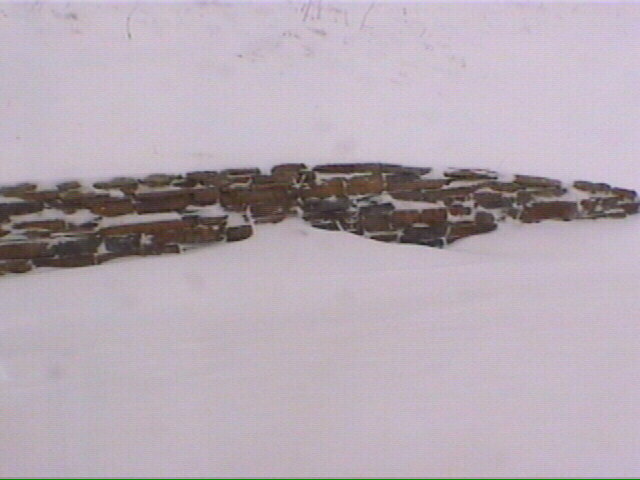 My back retaining wall had a little bit of a drift against it. 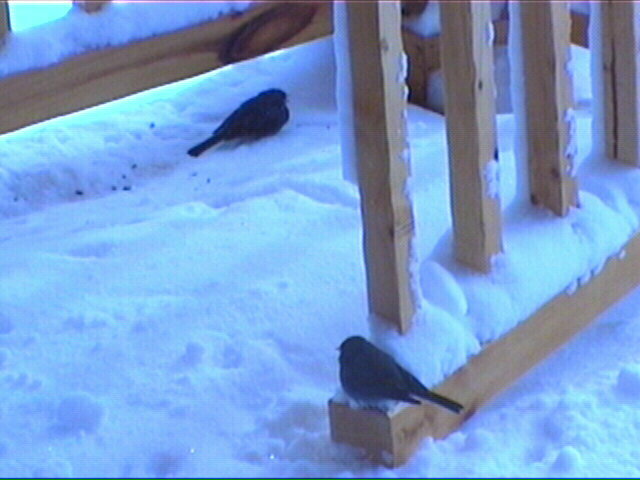 Here are some birds taking refuge on the back porch and cleaning up seeds from the bird feeder above. The poor birds looked very cold. There was a couple of times today were they tried to fly in various windows. I know they are having a hard time when they do that. All their food is mostly gone and what's left is buried beneath the snow. 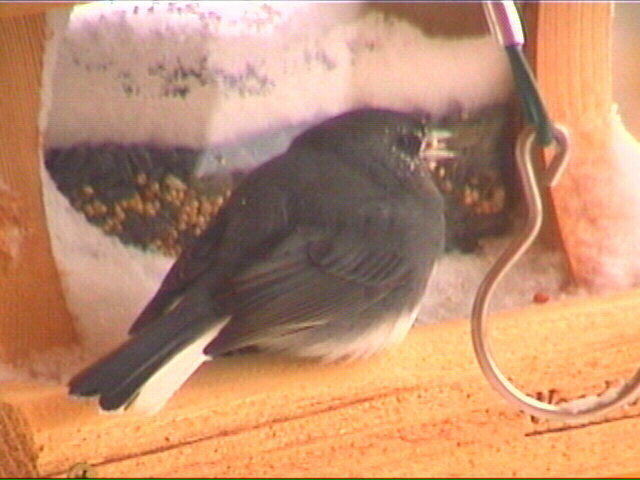 Here a bird is eating out of the bird feeder. It has snow on it's face where they kept having to push the snow out of the food. The snow even manages to get inside the bird feeder? I don't know how. The temperature for most of the day was 6 degrees. 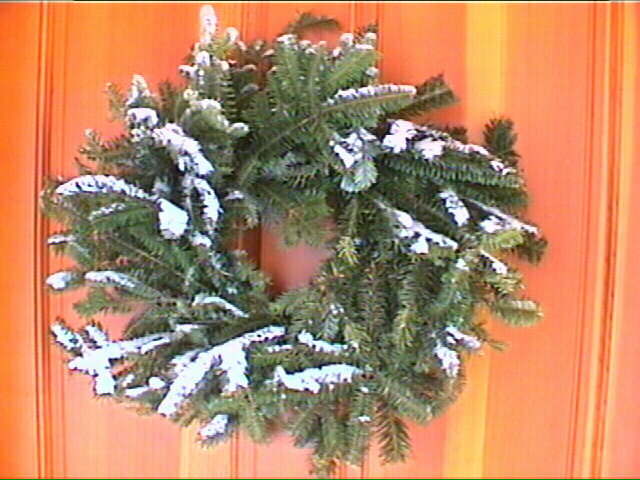 The Balsam wreath on my front door looked nice with a dusting of snow. 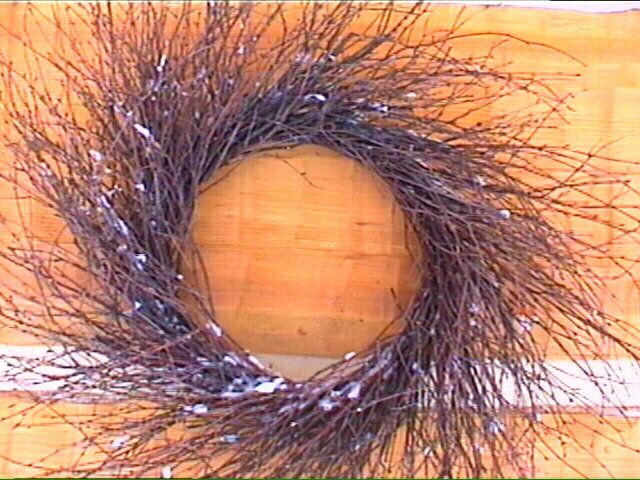 The twig wreath on the front porch wall got a little dusting too. 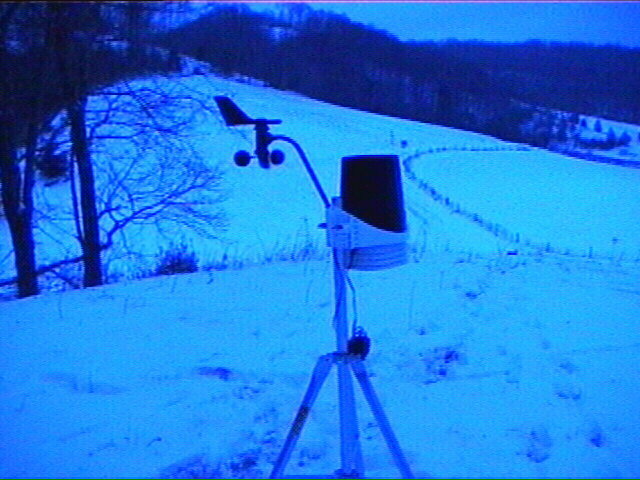 My weather station arrived today. I had to go meet the UPS delivery truck way down the road at the pavement. But I didn't mind. At least I finally got it! Everything except the software and cable that connects the weather station console to my computer. 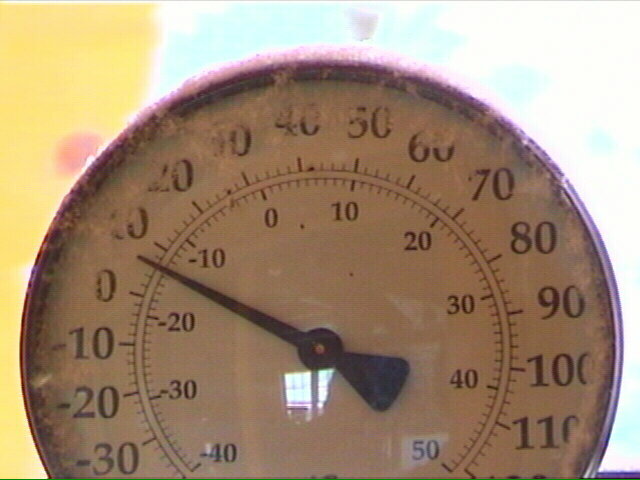 I carried the station up to my hilltop for the best wind readings. I'll have to find a better, more permanent place soon. 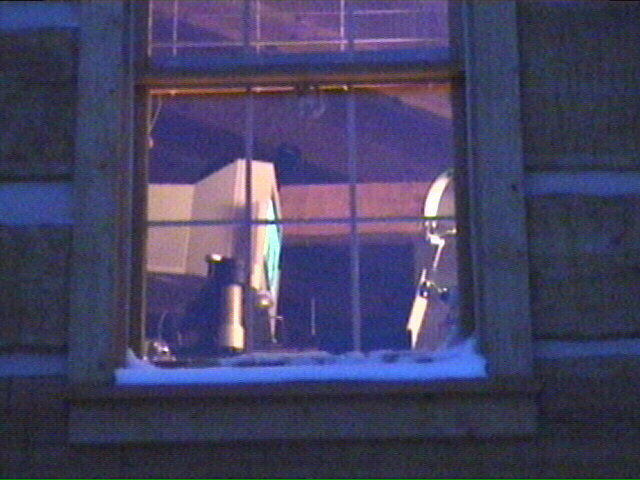 Here you can see how far the station is transmitting back to the house. It's solar powered and wireless. 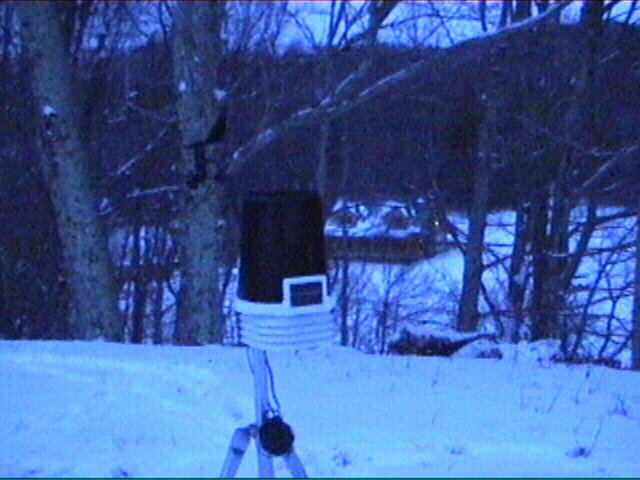 This measures the wind direction and speed, rainfall, temperature, humidity, and barometric pressure. From these measurements everything else like wind chill, heat index, and dew point can be calculated by the main console back in the house. Walking back up to the house, it looked warm and cozy. Here I'm looking up at my second story office window. 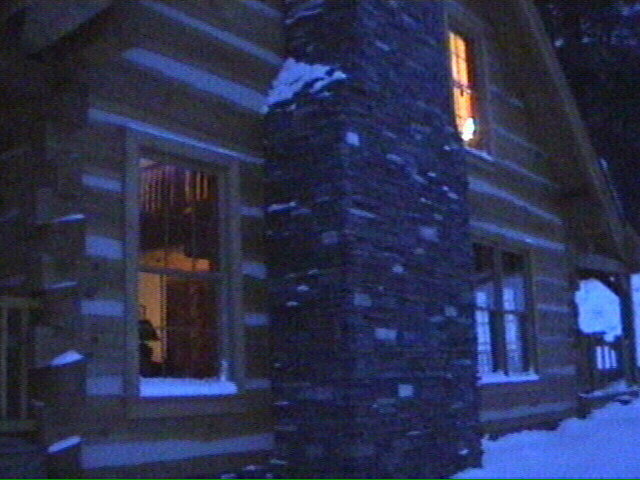 The RanchCam is in the lower right-hand corner of the window looking out the window to left. I usually spend 12 to13 or more hours a day in this chair working. Between work, this web site, scanning pictures, doing accounting, banking, planning my landscape, etc..... I'm here most of the day.